Abortion providers filed a petition on Thursday asking the full 5th Circuit Court of Appeals to reconsider the constitutionality of new abortion regulations passed by the Republican-led Texas Legislature in July. The petition, filed on behalf of a coalition representing the majority of abortion providers in Texas, comes on the heels of a unanimous decision made by the court's three-judge panel in March to uphold two requirements recently implemented in the state. Those rules require physicians to obtain hospital admitting privileges within 30 miles of an abortion facility and to follow the U.S. Food and Drug Administration’s protocol for drug-induced abortions rather than a common, evidence-based protocol. Republicans celebrated the March decision in favor of the state, which argued that the rules should be deemed constitutional because they were intended to protect women’s health. The state's attorneys also argued that there wasn't enough evidence to suggest that the rules created an undue burden on the majority of women in Texas seeking abortions. In the opinion issued by the three-judge panel, Justice Edith Jones wrote that the state's "articulation of rational legislative objectives, which was backed by evidence placed before the state Legislature, easily supplied a connection between the admitting-privileges rule and the desirable protection of abortion patients’ health." An attorney for the Center for Reproductive Rights, which represents the coalition of Texas abortion providers, had argued that the new rules are unconstitutional because women in South Texas, the Panhandle and other areas of the state are now left to travel long distances to seek abortions. That's because some abortion facilities were forced to discontinue performing the procedure when new abortion regulations were implemented on Nov. 1. The plaintiffs are now asking the full 5th Circuit Court to reconsider the panel’s decision, arguing that courts in other states, including Alabama, Mississippi and Wisconsin, have blocked similar provisions. “We look to the full court to enforce the Constitution, follow Supreme Court precedent, recognize the real life harms to the women of Texas and block this law from being enforced,” said Nancy Northup, president and CEO of the Center for Reproductive Rights. Since the rules in question went into effect in November, a dozen abortion facilities in the state have closed. 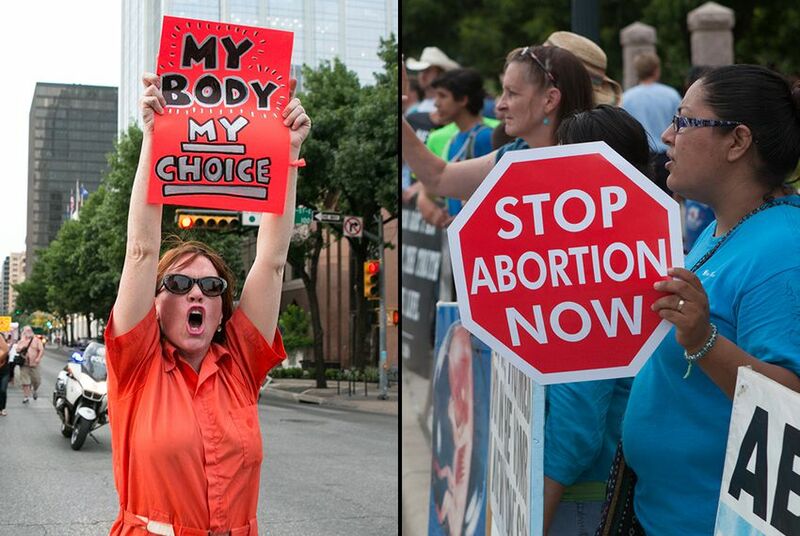 In August, before the rules took effect, there were 40 licensed abortion providers in Texas. Now there are 28 licensed abortion providers, only 24 of which still perform the procedure. The number of abortion facilities in Texas is expected to drop to about six when additional rules that require abortion clinics to meet the same standards as ambulatory surgical centers take effect in September. Cecile Richards, president of the Planned Parenthood Federation of America, said in a statement that the group would continue to fight the law, which she said is intended to eliminate access to safe, legal abortions. “Planned Parenthood will do everything we can to stop politicians from imposing their agenda on Texas women. A woman’s rights and her ability to access medical care should not depend on her zip code,” she said. Abortion providers have also filed a second lawsuit targeting an additional requirement passed by the Legislature that requires all abortions to be performed in ambulatory surgical centers starting in September. New regulations that ban abortions at 20 weeks of gestation remain unchallenged in court. Correction: A previous version of this story stated that the new requirement that abortions be performed in ambulatory surgical centers remained unchallenged in court. Abortion providers filed a second lawsuit challenging the additional requirement last week.